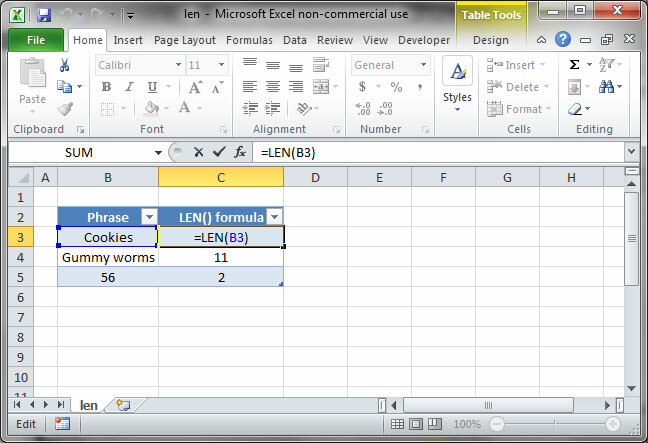 It’s important to note that the LEN function calculates the length of inputs in their raw form; formatting is ignored. In the following example, the function returns a value of 3 when pointed to cell B3, despite the fact that the text in cell B3 is 300.00. 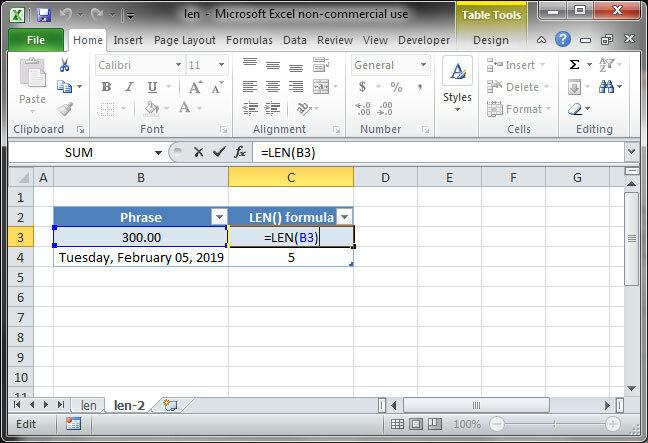 This is because the actual value in the cell is 300; the decimal point and extra zeroes are displayed due to number formatting, but are ignored by the LEN function.